The holy city of Rajasthan is located 131kms west of Jaipur.The city is set in a picturesque valley surrounded by the Aravallis.Ajmer is very well connected by train and road routes with Jaipur and Delhi. The Daragh of Khwaja Moinuddin Chisti, built in 13th century is the major attraction of the city.Millions of pilgrims from all sects and religions visit the shrine during the annual celebration of the Urs. It is situated in 26° 27, N. lat. and 74° 44, E. long., on the lower slopes of Taragarh Hill, in the Aravalli Range. It is situated almost in the heart of the state of Rajasthan. To the north of the city is a large artificial lake, called Anasagar. Ajmer a very historical place was one among the place which was directly under the control of British than a princely state.Ajmer was one of the favourite place of the great Moghula, Mahumud of Ghazni.It was in Ajmer the meeting between the British and the Moghula, namely Sir Thomas Roe and Jahangir met each other. After Moghulas it was rued by the Scindias till 1818 after which it came under the control of the British. 1. The most commonly celebrated Muslim festival in Ajmer includes Id and Urs where people celebrate it with great enthusiasm. This falls in the 6th month of the lunar calendar. Even the non residence of Ajmer tries and visits this place during this festival celebration. 2. Other Hindu festivals include Teej, Holi and Diwali are celebrated with equal enthusiasm which depicts various religious customs and tradition. 3. Pushkar Cattle Fair is one of the major festivals celebrated in this area with great fun and enthusiasm. This fair and festival takes place between October and November. Apart from people coming to witness the fair they also come to trade and watch cart and camel races. 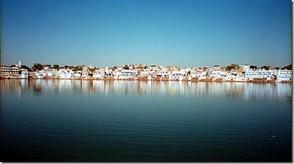 This festival takes place around the Pushkar lake. This temple located on Prithviraj Marg, is open to visitors from 8:30 a.m. to 4:30 p.m.This is one of the best dazzling Jain temples in Rajasthan.Nasiyan temple is known for its intricate carvings competing with the mughal architecture. This temple about 130 km west of Jaipur is an important pilgrim centre for Muslims from all over the world. It has the tomb of the Sufi saint Khawaja Moinuddin Chisti. Other Hindu temples in the town of Pushkar include Apteshwar Temple, Rangji Temple, Savitri Temple, Mahadeva Temple and Varah Temple. This is a very famous mosque where not only the muslims visit but also people of all religion have a strong faith in this dargah.This is situated in the city of Ajmer near the Dargah Bazaar. 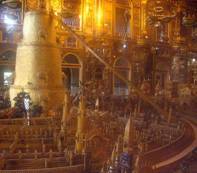 The dome of the tomb is plated with gold. The tomb is surrounded by silver platform and a bit of marble screens. This mosque has a special feature in the history, for it took only two and half days to construct this. It is an excellent masterpiece of Indo-Islamic architecture which was originally a Sanskrit college within a temple and later got converted to a mosque by Mohhamed Ghauri who built a seven arched wall in front of the pillared hall in just two-and-half days. The ruins of this mosque still stand as a legend. This museum was once the royal residence of Akbar and now it exhibits the valuables and the history of the Mughals and Rajputs.Fine sculptures of this region is in exhibit here. This fort is situated in a small hillock which needs a treking of about half an hour, after which you can see the ruins of the Taragarh Fort. During the period of Mughals all the military activities very carried out here. This monument located in the south-east of the Ana Sagar which had one of the India's best public school is now converted into a circuit house. Nag Pahar - Nag Pahar which is also called as Snake Mountain separates Ajmer from the lake. It is known for its Panch Kund and saint Agastya’s cave. Man Mahal - This was a small palace built by King Raja Man Singh to relax at times of his visit to city of Ajmer.But now it is converted into a tourist bungalow by the Rajasthani government. This is very famous fort of Ajmer which has beautiful paintings of Meera Bai.Inside the fort there is also the Lok Dev temple. 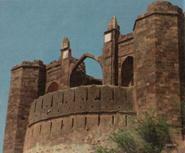 The Kishangarh fort is quite popular for its treasure of art. This place had one of the finest schools for miniature paintings during 18th century. 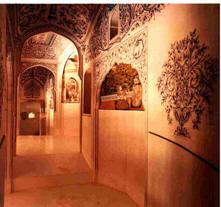 Inside the fort is the heritage hotel which was the Phool Mahal once upon a time. This fort is located at a distance of 27km from Ajmer on the Jaipur road. 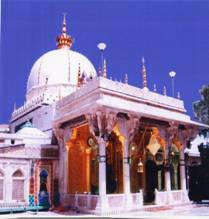 This Dargah is the tomb of the Sufi saint Khawaja Moinuddin Chisti situated in the foothill of the barren hill. This is one of the countries most important pilgrimage centre often attracted by tourists and is about 130 km west of Jaipur.It was very frequently visited place by the emperor Akbar. This is a famous Jain temple built with wooden guilt and is of fully red colour talks a lot about Jain mythology. This is one of the biggest attraction of Ajmer, which is surrounded by 500 temples, 52 palaces and 52 bathing ghats.This lake which is just 12kms away from the city is worth visiting during the month of November when the Pushkar fair is held.Pushkar the sister city of Ajmer is considered to be one of the sacred place of the Hindus for in it has the only temple for the lord Brahma. This was an artificial lake constructed for the relief of a famine project. This picturesque lake is about 5kms away from Ajmer. This is an artifical lake built in the 12th century from river Luni.Boat services are available in this lake. The banks of the river are decked by a beautiful park, the Daulat Bagh built by Shahjahan with marble pavilions. 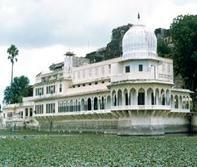 This place is surrounded by hills and is situated in the North of the Ajmer city. Mangliyawas, a town in Ajmer is place to be visited by the tourists for it owns two 800 years old trees of a rare species. Adansonia Digitata Linn, a town about 26-km from Ajmer is also popularly known for its 'Kalpa-Vriksha' tree. It is believed that worshipping this tree is blessed with a long life. procession during which people participate in large numbers and throw 'Gulal' on each other. 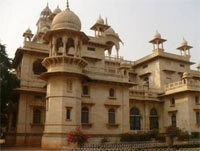 There are no foreign embassies located in Ajmer, but the nearest one is in New Delhi. 1.Purani Mandi, Naya Bazaar, and Kaisarganj - Local crafts, gold and silver jewelry,handloom and block printed textiles, brass utensils, bangles, woodcrafts, silver souvenirs, leather belts, hand embroidered cloth bags bandhini textiles and hand embroidered shoes or mojaris are some of the numerous buyable items in this city. The 'Ittar' (perfume) is a major specialty of Ajmer. 2.Tilonia village - multi-colored clothes, leather items. The nearest airport to Ajmer is Jaipur which is about 138 kms.Jaipur is connected to other Northern part of the country by domestic flights which have regular services. Ajmer is very well to other parts of the country by broad-gauge rails. It has a network of railway lines connecting to Delhi, Agra, Ahmedabad, Barmer, Bharatpur, Bikaner, Jaipur, Jodhpur, Mount Abu and to Bombay Via Ahmedabad. There are regular Rajasthan state bus transport to most of the nearby cities and towns. Apart from this there are also private bus services to Ajmer.It is well connected by road with Agra (370 km), Bharatpur (312 km), Bikaner (234 km), Bundi (139 km),Chittaurgarh (182 km), Delhi (444 km), Jaipur (138 km), Jaisalmer (458 km), Jodhpur (205 km), Kota (178 km), Mount Abu (371 km) and Udaipur (269 km).